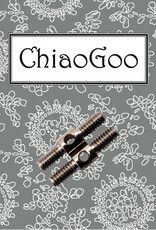 ChiaoGoo ChiaoGoo Cable Connectors Small - Woolly&Co. Item #2501-AM is our NEW Interchangeable Adapter. 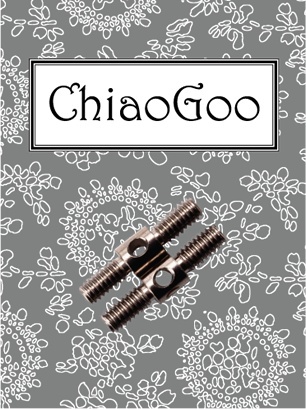 Made of stainless steel this adapter will allow you to go from an [S] interchangeable TWIST/SPIN tip to a MINI interchangeable TWIST cable. We also have an adapter to go from an [L] interchangeable TWIST/SPIN tip to an [S] interchangeable TWIST/SPIN cable. Item #2501-A.